Our Outreach Officer and Geoscience expert, Dr. Pippa Cowles, explains everything you need to know about GIS for GIS Day. Today is GIS Day, GIS I hear you say what is that? You may have heard of it in your geography class before. GIS stands for Geographic Information System and connects geography with data – lots and lots of data! It helps us understand what belongs where and looks at data connected to a particular location. Data can be anything from maps, aerial photos, satellite imagery to spreadsheets. GIS allows all these data types to be laid on top of one another on a single map. It uses location as the common point to relate all these data set together. GIS can help supermarkets plan where to open a new store, help the police analyse crime patterns, or help aid vehicles get to a location using the fastest route. GIS lets us create, manage and analyse geospatial data and visualise the results on a map to help us make more informed decisions. 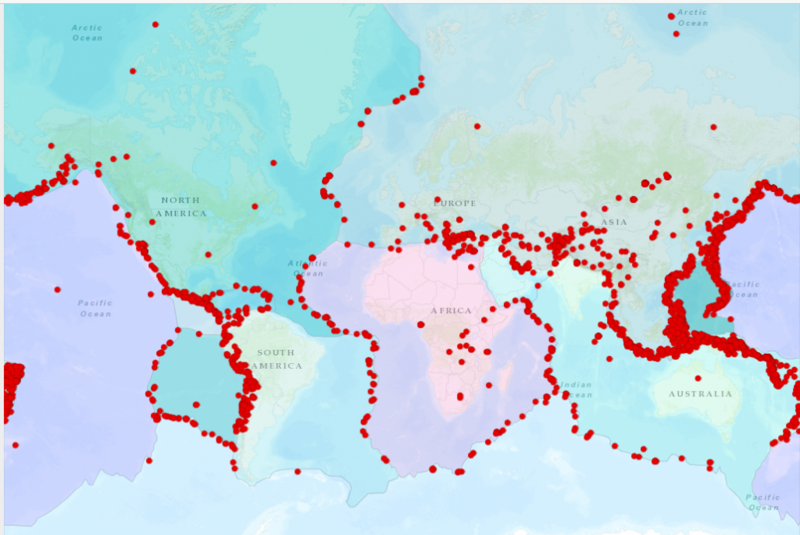 Explore the relationship between Earthquakes, Plate tectonics and Volcanoes using GIS here. What does it show? What information is stored about the Earthquakes and Volcanoes? Find out more about GIS day and how you can book a free Introduction to GIS workshop for your school.